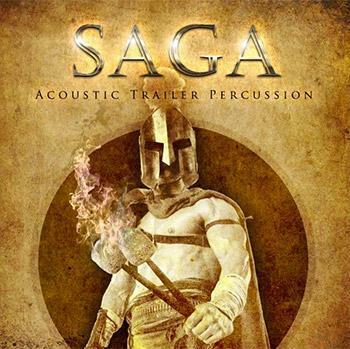 “Saga Acoustic Trailer Percussion” is an extensive collection of thunderous drum ensembles, dynamic metals, world instruments and other acoustic percussion focused on providing awesome impact and scale. From Cinematic Underscore to Trailer Music, “Saga – Acoustic Trailer Percussion provides the inspiration to write some amazing music! Payment plan available: Pay only 10% today! 4GB of Truly Epic Orchestral & World Percussion for Kontakt! Anvils & a plethora of large metal Slams & Crashes. Also included are field recordings of giant silos, metal doors, machinery, tools and various small metals. 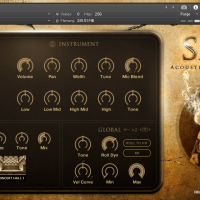 There are over 110 instruments in total and the easy-to-use Kontakt GUI offers plenty of performance and sound shaping options that allow you to customize Saga to suit your compositions. 4GB of Truly Epic Percussion! 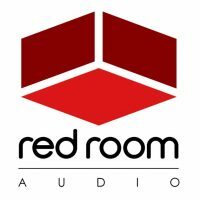 Perfect for Cinematic Underscore, Hybrid Orchestral Music, Video Games & Trailer Music! A GUI That Is Simplicity Itself, But Also Remarkably Powerful! 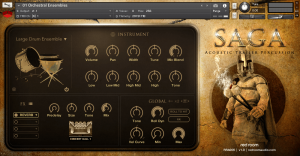 “Saga – Acoustic Trailer Percussion” includes 10 Kontakt Instruments (.nki’s) with very similar GUI’s. Each one is divided into 4 primary panels. At the top left you’ll find an Instrument Display panel. This is where you can select an instrument within the patch for editing from the dropdown menu (note that the Anvils, Metal Sheets and Silo Booms patches only contain one instrument and therefore do not have a dropdown). This is where you’ll find controls for editing the currently selected instrument or instrument group. These controls affect all the articulations of an instrument, not just the samples associated with a particular MIDI note. Knobs here include instrument Volume, Pan, Width, Tune and Mic Blend, which allows you to adjust the balance between the Close and Far mics (not applicable for Silo Booms and Various Metals patches, which are comprised of field recordings). The next row of knobs offers 4-band EQ and Tone (HP + LP filter). The third panel houses a compact yet powerful 4-slot FX rack. To load an effect, click on any slot’s down-facing arrow. This opens a dropdown where you can select one of 12 effects or move them up or down in the rack to change their order. The radio buttons turn the slot on and off (bypass). The fourth (bottom right) panel contains a set of global controls that apply to all instruments in the patch. Row one includes knobs for Tone (HP + LP filter) and Roll Dynamics (where applicable, default mapped to CC1/modwheel). The Roll To Hit button adds an accented hit to the end of any roll, and the RR button activates or deactivates the additional round robin samples (we recommend leaving this on for realism). Row two contains knobs for setting the Velocity Curve and its Minimum and Maximum values. For more detailed information on how all these features work read the comprehensive Manual HERE. A World of Incredibly Flexible Percussion At Your Fingertips! There are over 110 instruments in “Saga – Acoustic Trailer Percussion”, with the vast majority of them offering plenty of performance and sound shaping options so that you can customize them to suit your compositions. Also included are field recordings of giant silos, metal doors, machinery, tools and various small metals. 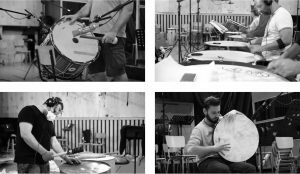 Read the full list of included instruments and articulations HERE. The deal will expire when the timer hits zero! 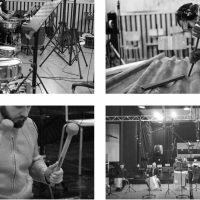 So What Can I Do With “Saga – Acoustic Trailer Percussion”? Normally €132 – get it at 55% off before it’s gone! 55% off the normal price (normally €132)! 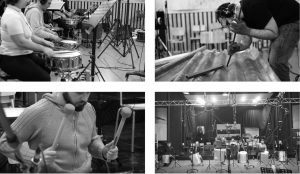 "There are, of course, plenty of alternative cinematic drum and percussion libraries out there. However, Saga more than holds its own. It is also competitively priced so you don’t need a Hollywood budget to get on board. 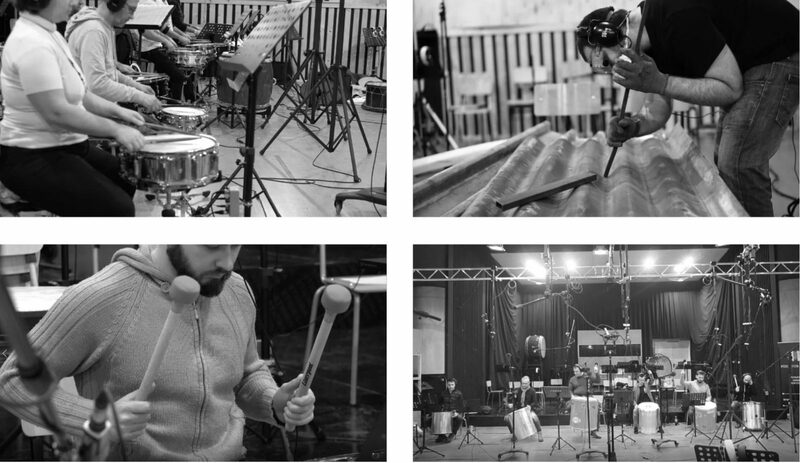 If your palette of cinematic drum and percussion sounds needs expanding, Saga Acoustic Trailer Percussion is well worth auditioning." "When it comes to games, movie and TV scoring you need more variety to your drum sounds. Saga Acoustic Trailer Percussion is designed to cover all your scoring needs. This is an amazing package and the price is a steal for what you’re getting. These are some of the best drum recordings I’ve heard in ages. Plus it’s useful even beyond the drums, as this is a perfect foley tool for video games and movies too." 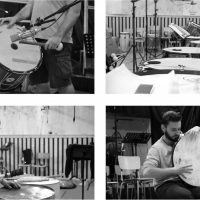 "We all love a good cinematic percussion library, as long as it delivers the sounds, ease of use and is fun to play. Normally I wouldn’t give a percussion library five stars unless it sported some game-changing features... but after I happily played through each patch and found no roadblocks or faults, I remembered the price I paid for Saga Acoustic Trailer Percussion... which is below the norm for a collection that covers this much ground." "The release of SAGA Acoustic Trailer Percussion came as a nice surprise as the library features a remarkably punchy and powerful, yet very flexible sound that leaves room for custom processing if needed. You can really feel the knowledge in sampling and user experience. 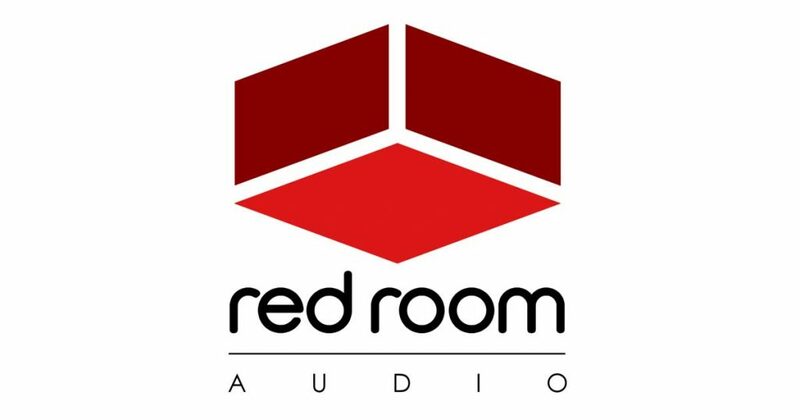 Red Room Audio founder Dickie Chapin has gathered through his long-standing work as a creative director at Impact Soundworks. This, together with the amazing performances of the sampled percussion players makes SAGA a top-line sample library in my opinion." "SAGA is the perfect combination of a great sounding and flexible sample set in an intuitive interface, delivering a focused percussion tool that has been added to my epic music template."